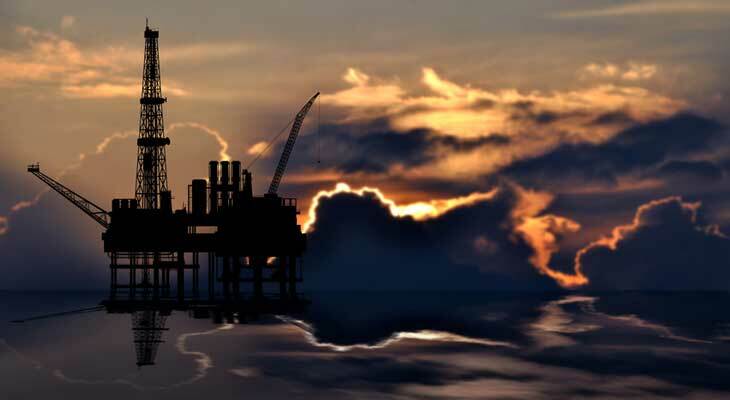 The Houston oil and gas lawyers at Burford Perry LLP have extensive experience handling a wide variety of oil and gas issues on both sides of the bench. We have successfully represented landowners and lease owners in disputes against large oil and gas companies and we have also represented international oil and gas companies such as ConocoPhillips, domestic companies like Stone Petroleum, and a variety of oil and gas field service companies. Our attorneys also have experience representing clients in the transportation, gas management, and storage business, such as ECorp and Stagecoach Storage. Because we have extensive experience on both sides of the bench, we offer unparalleled experience to our clients that other law firms can’t offer. One of our founding partners, Robert Burford, helped obtain large judgments for his oil and gas clients, including a $196 million judgment against Devon Energy and Chief Oil & Gas in connection with the fraudulent buyout of member interests. Robert Burford also successfully defended Stone Energy Corporation in a multi-million dollar jury trial involving allegations of fraud in connection with drilling operations under a farm-out agreement. A Take Nothing Judgment was rendered against the plaintiff. Additionally, one of our associate attorneys, Matt Parks, was a member of the defense team for one of the main entities involved in the oil spill by the oil rig “Deepwater Horizon” from BP’s Macondo Well blowout in the Gulf of Mexico in 2010. Burford Perry LLP works closely with clients to define their goals early in representation so we can develop successful strategies for success. While we have extensive experience taking cases to trial, we know sometimes the best solution can be achieved at the negotiations table. We can cultivate unique resolutions that save our clients time and money by reaching agreeable terms out of the courtroom when it best serves our clients. Royalty Disputes – Our attorneys have represented both land owners and oil and gas companies in disputes over royalty payments. These disputes often arise when properties are passed intestate (without a will) on to multiple family members. Disputes can also arise when royalty payments aren’t paid correctly. Regardless of how the disputes arise, it is crucial to get an experienced attorney involved as soon as possible to protect your interests. Joint Operating Agreements – Burford Perry LLP has represented well owners and drilling companies when disputes arise on whether a well has been drilled in accordance with contractual requirements and the joint operating agreement. Failure to resolve these disputes quickly can be detrimental to all of the parties involved. We work to protect clients’ best interests and resolve joint operating agreement disputes quickly. Lease Disputes – Although lease agreements are meant to be mutually beneficial, there are times when disputes put the relationship and production in jeopardy. When this occurs, one or more parties could lose out on profit. Burford Perry LLP can help both drilling companies and landowners resolve disputes efficiently to get operations running again. Pipeline, Transportation, and Storage Disputes – The development of oil and gas pipelines and storage facilities always involves several parties and companies. There are strict regulations in place to guide the transportation and storage of petroleum products that make for complicated disputes. Without an experienced attorney, these disputes have the potential to bring the entire process to a screeching halt. Shale & Fracturing Disputes – Hydraulic fracturing or fracking has created a boom for the Texas oil and gas industry, but it has also caused many contentious disputes. At Burford Perry LLP, we can help landowners and oil and gas companies protect their interests in shale and fracking disputes. Oil and gas litigation is extremely technical. Not only are the laws complex and highly nuanced, but oil and gas attorneys need to have a deep understanding of oil and gas exploration, evaluation, production, and transportation. Individuals and companies who do not seek the most experienced oil and gas lawyers to help them resolve oil and gas disputes are almost guaranteeing they will be taken advantage of. All of the attorneys at Burford Perry LLP have extensive experienced in this highly technical area of litigation. Both of our founding partners have AV-Ratings from Martindale-Hubbell and have been selected as Super Lawyers by Thomson Reuters. When you work with our firm, you’re getting experience recognized for excellence. Contact us today to schedule a consultation to discuss your oil and gas litigation disputes.